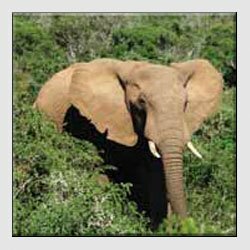 African Safari - An adventure in South Africa. "An Adventure in South Africa"
SAFARI IS A WORD many associate with South Africa: jumping in the back of a dusty 4x4; sneaking past lions; seeing the silhouette of an elephant against a picturesque sunset; watching cheetahs make the dash for their next meal… all of which makes for a stunning collection of magical photographs. 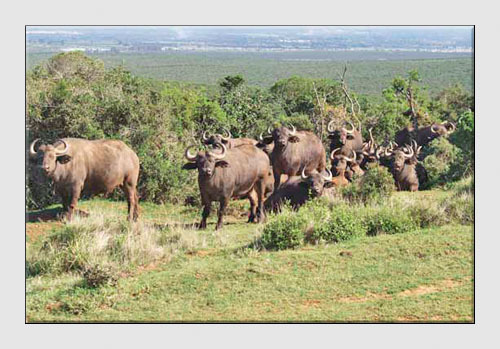 But with animal population numbers dwindling, there has been a surge in african safari tourism – and everyone wants to record their experience, hence an increasing interest in wildlife photography. 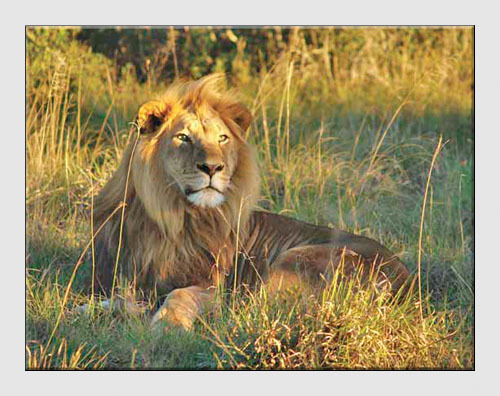 There can often be a number of restrictions when it comes to taking photographs while on african safari – time, weather, equipment, access and, sometimes, the animals may just be hiding. But when the animals do come out to play, there are a few things you can consider to ensure your photographs are true memories of your trip. If you have a good zoom lens – most of the shots on this page were taken using the Zuiko 40-150mm (equivalent to 300mm on 35mm) – focus on the animal’s eyes as this will ensure the face is in focus. The animal may disappear quickly, so you need to be ready. Try and take a range of shots of each animal – it’s nice to frame an animal in its natural habitat but also zoom in on a part of the animal, such as its fur or horns. Don’t forget to take landscape and portrait shots and, if possible, get photos from different levels. 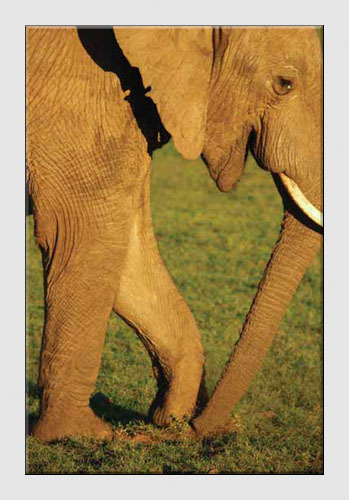 A photograph of an elephant can look very powerful if you get down a fraction lower, whereas pictures taken at the animal’s eye-level will appear more sensational. 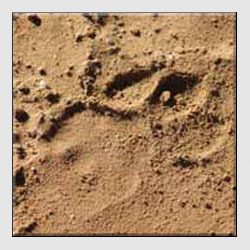 And don’t ignore small details – the shot of the lion’s paw print below perfectly captures the feeling of tracking wild game! When your subject is in motion, use a shutter speed of at least 1/125, unless you are using the panning method where you follow the moving subject in your viewfinder as you take the shot. It can also be a good idea to carry a pair of binoculars as these prove invaluable for studying large animals and birds. They can also be used to spot an animal or herd in the distance. As a general rule, don’t forget that there will be more to see, hear and smell in addition to what can be captured on camera. Don’t miss the trip because you are constantly staring through your viewfinder, but be ready with your camera at all times. Remember, these animals are wild and many hunt for their food. Always follow the advice given by your african safari guide. 1 Motorway service stations don’t seem to exist in South Africa as they do in the UK, so fill up with petrol before setting off on a long journey – you most likely won’t be able to find petrol again before you arrive at the next town. 2 When parking your car in towns and cities you will be asked for money by ‘parking guards’, local people who make a living by looking after parked cars. This is quite usual and the charge of 20 or 30 cents is small compared to car parking fees in the UK. 3 You may be more comfortable using a compact camera in towns and cities, as carrying an expensive SLR can make you the centre of unwanted attention and a target for beggars. 4 Remember to pack plenty of memory cards and rechargeable batteries as these may be difficult to find when travelling outside of large towns or cities. 5 When in the countryside the evenings can be quiet, so pack a video lead for your camera. You can then make your own entertainment by holding slide shows of your day’s photos on the hotel room TV. 6 When viewing your photos on the TV, remember to edit them. Deleting photos that are no good can liberate memory card space for that once-in-alifetime shot of a lion or elephant! 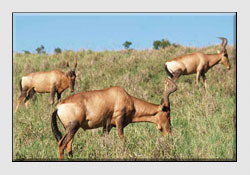 7 Remember to charge all of your batteries before heading off to your game reserve. If you’re staying in a tent on your african safari, you most likely won’t have electricity. 8 If being driven around by a professional guide you will be able to get much closer to the wildlife than you may have expected, so often you don’t need to use a very long telephoto lens. 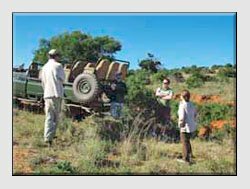 9 Remember to stay seated in your safari vehicle unless your guide tells you otherwise. Lions and other wild animals see vehicles with people in as one big animal. If you get out they will realise you are separate and may see you as prey! 10 Don’t feed the animals! Wild animals are dangerous and unpredictable. In some game reserves if animals, such as baboons, get accustomed to being fed by hand they have to be destroyed to prevent them attacking visitors in the future. 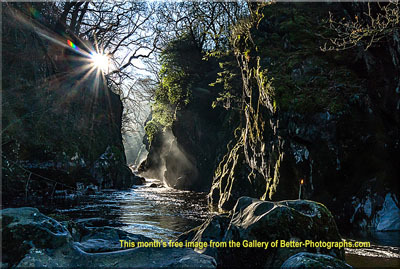 Return from African Safari to the Photography Tutor page.